Battlefront is back to show off its improved midi-chlorian count, and to celebrate we’re giving you this completely free battlefront 2 overlay. Styled around the game and its UI, this overlay should be a pretty good compliment to those long sessions running as fast as you can from Darth Maul. May the follows be with you (sorry, had to). 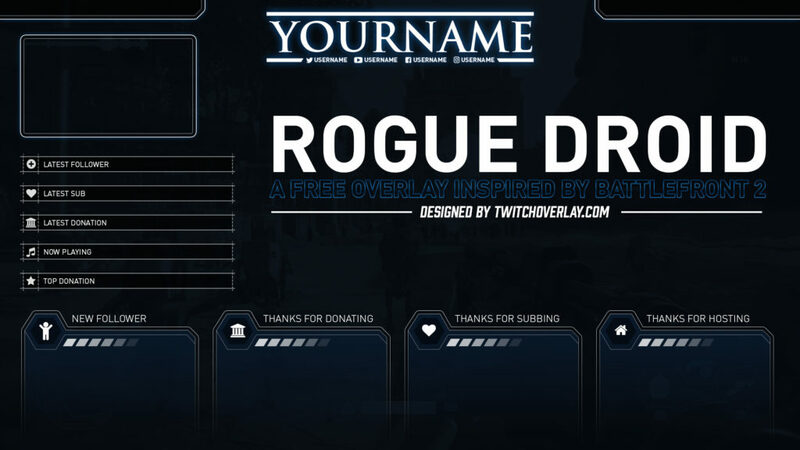 Included in this download are a series of info panels, some pretty cool alerts, boxes for the top corners, webcams in 4:3 and 16:9 ratio, and a .PSD file for you to edit the header with your own details and social info.